We don't confine ourselves to materials transport, as evidenced by the marine-related work we've been involved with. 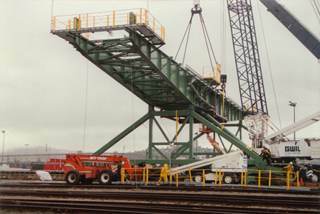 We've built dozens of loading ramps for ferry and barge berths throughout the West Coast. 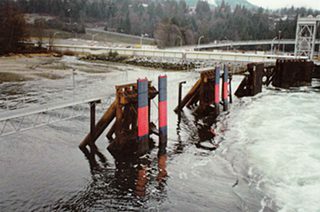 For instance, we've fabricated and installed dual 9 meter (29 feet) x 33 meter (100 feet) vehicle loading ramps with orthotropic deck beams at the Duke Point ferry terminal, and converted active lift systems to loading ramps at the Departure Bay and Horseshoe ferry terminals for the BC Ferries Corporation. 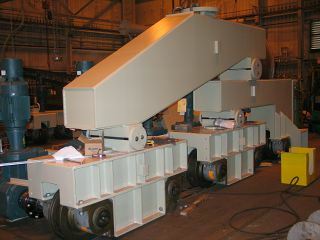 We've also just completed new ramps for the Tsawwassen and Swartz Bay terminals, and Denman & Hornby Islands. Marine traffic and fender panels go hand-in-hand. 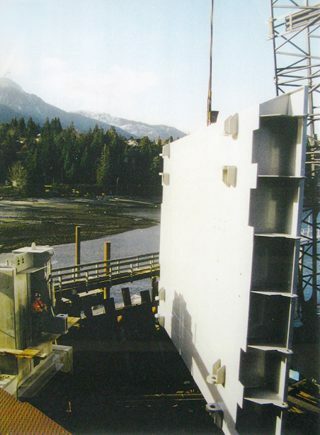 We've manufactured barge loading and ferry terminal fender panel systems for numerous installations in Western Canada, the Eastern USA, the Mississippi port system, and Alaska. Of course, we don't ignore materials transport when it comes to marine work. Most of our equipment is readily adaptable to the marine environment, particularly when it comes to loading bulk materials onto ships. Some examples of marine work that we've done can be seen below, as well as in the photo gallery. Marine fender panels and support frames. The largest marine fender in BC, Canada at 50 tons (approx. 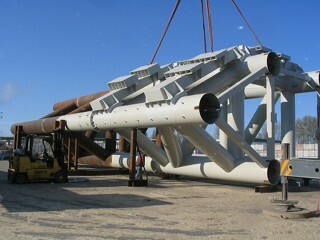 28ʹ high x 36ʹ wide x 4ʹ deep), being hoisted into position at Langdale, BC. 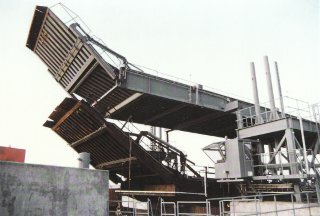 Upper and lower loading ramps of a berth at Duke Point, with aprons raised. 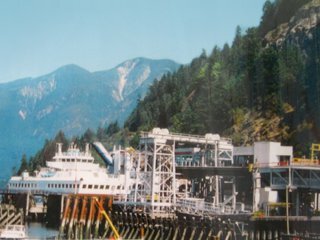 BC Ferries Horseshoe Bay Ferry Terminal, with Active Lift conversion.